Today, I drove up to Gettysburg, PA. 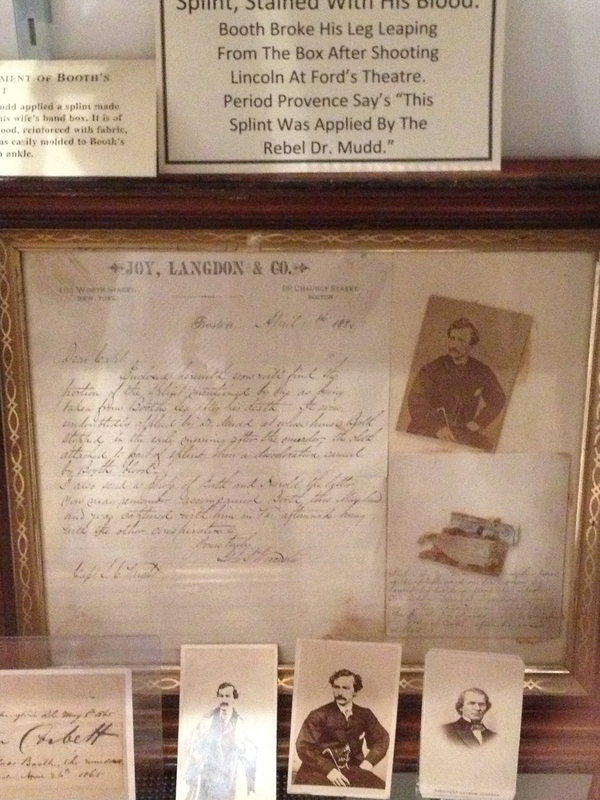 While in Gettysburg, I spent some time looking at a few antique stores and a museum. 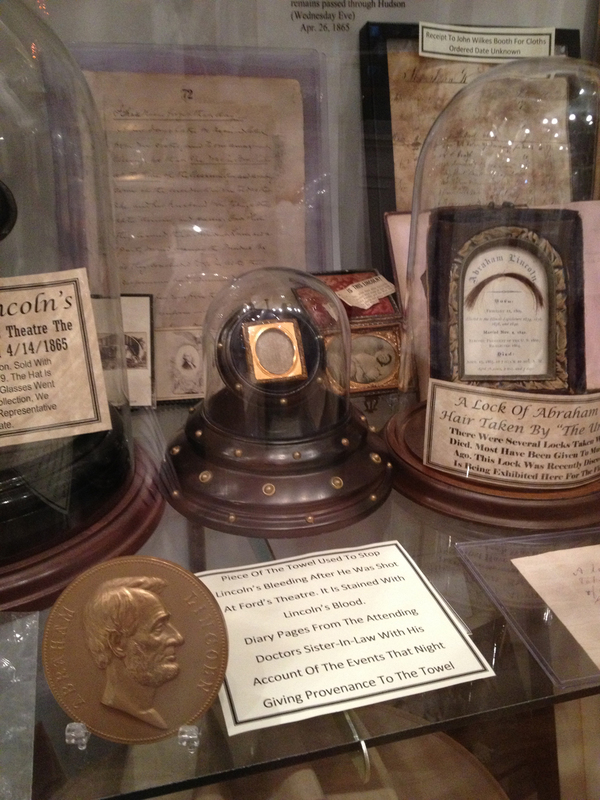 Piece of towel that was placed around Lincoln’s head to stop the bleeding next to one of the few authentic locks of Lincoln’s hair. There are many other items in the collection worth seeing, including an entire room devoted to JFK and his assassination. 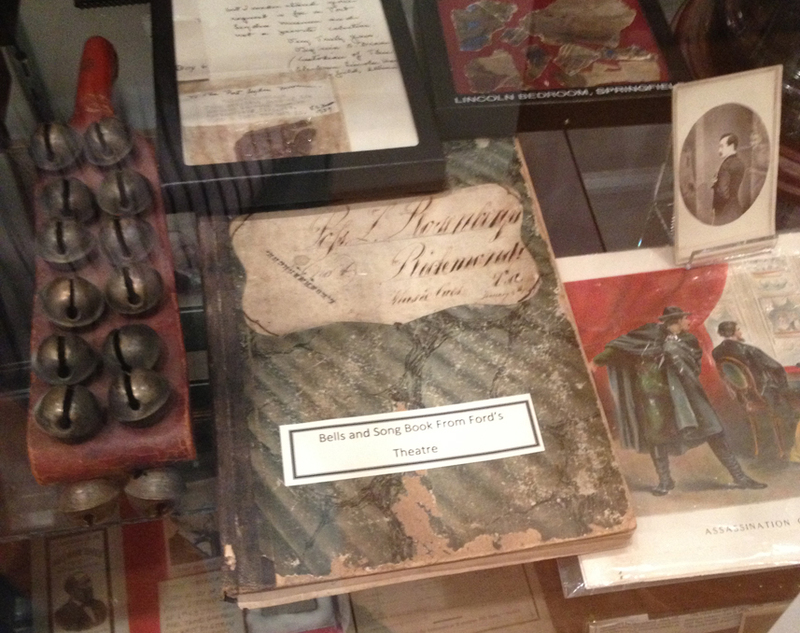 So, next time you’re in Gettysburg, check out the Gettysburg Museum of History. DAVE — what was the name of the antique shop that had the stereo card of the room in which Lincoln died, and what was the price?! You are so lucky to be able to visit these cool places. 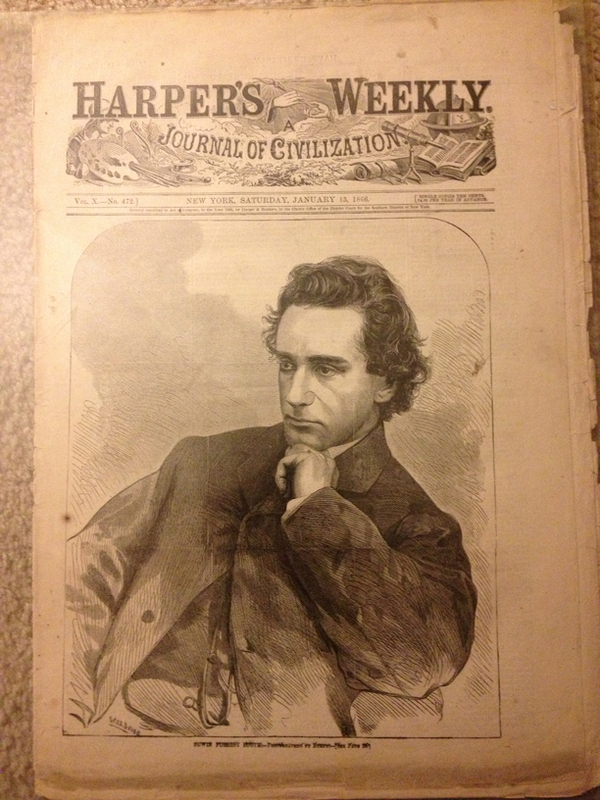 I have that Harper’s newspaper with Edwin Booth (if you look under the image, he’s refered to Edwin Forrest Booth, even though he was named after Edwin Forrest by his father JBB). I also have several CDVs of JWB likes the ones from museum, I purchased them directly thru Jonathan Mann at The Rail Splitter years ago, among other items. I need to find some time to start cataloging my collection and find a way to showcase them. 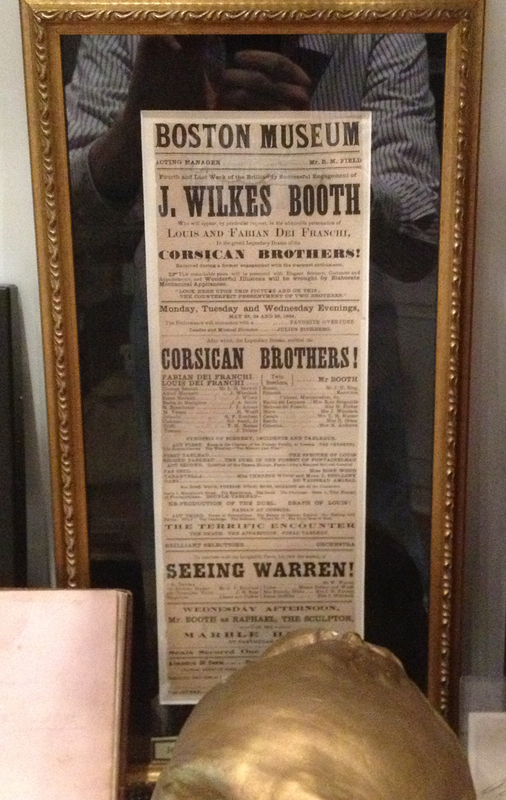 BTW, did you see the link I emailed you on JWB’s lock of hair that was sold at a Christie’s auction? I want to let you know that while I wanted to show off the Harper’s Weekly first, I was also going to offer to send it to you for your collection if you didn’t have it. It was going to be my thank you for all the “advertising” for BoothieBarn you do on the Spirits of Tudor Hall page. I’ll have to keep my eye open for another, relatively inexpensive Edwin item to shoot your way one of these days. I noticed it said Edwin Forrest Booth right away. 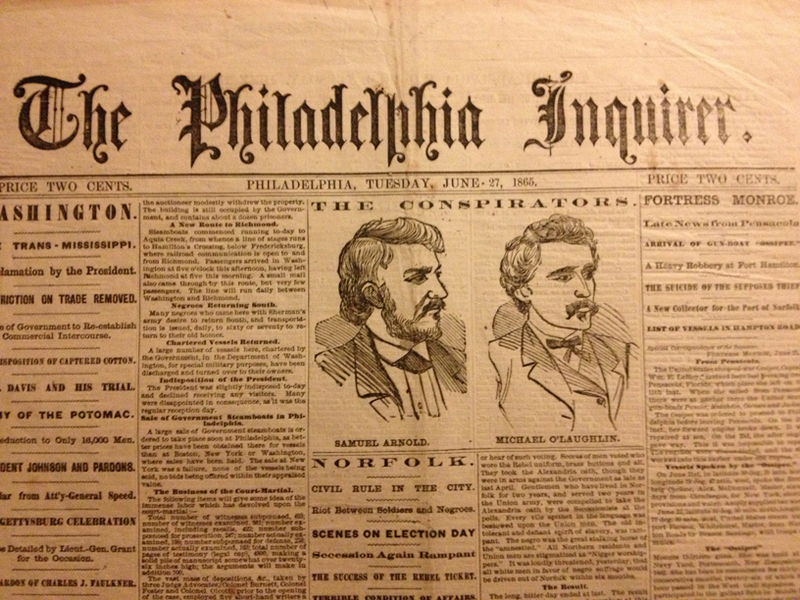 You’d think Edwin Thomas Booth would be famous enough not to have mistakes like that in the press. 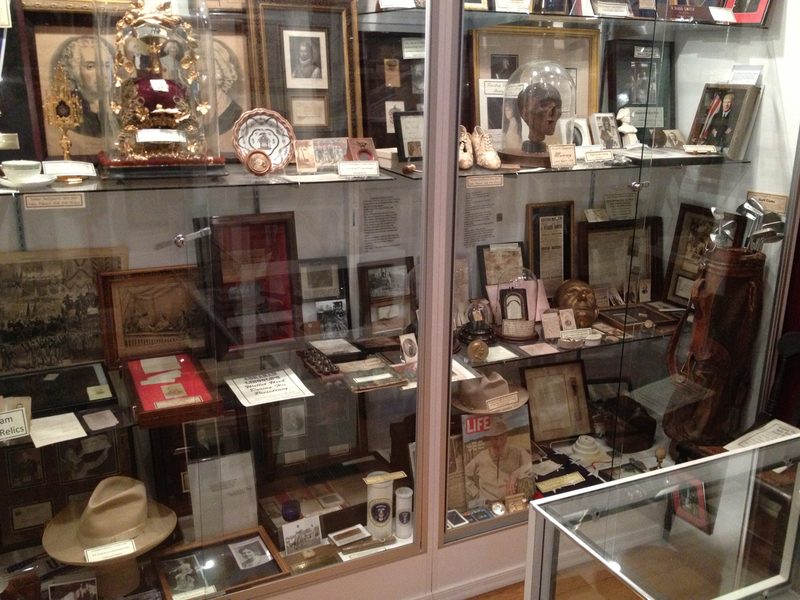 If you start a little Edwin Booth museum of your own, I’ll certainly make my way out to California one of these days to pay it a visit! Thanks for the Christie’s auction info. At first I thought it was for sale now and I was so excited (not that I could ever afford it). When I’m low on ideas, I’ll put it up here to share. Is that stereo card of the Petersen House? It doesn’t look like it. The caption stated the room in which the great emancipator died. I’m thinking this is how the room looked when the house was owned by Louis Schade before he sold it to the government and they put Oldroyd in there. I read he used that room as a playroom for his kids. Awkward. What is that little head in the bell jar??!! The museum is multifaceted. That is the head of an ancient Egyptian mummy. 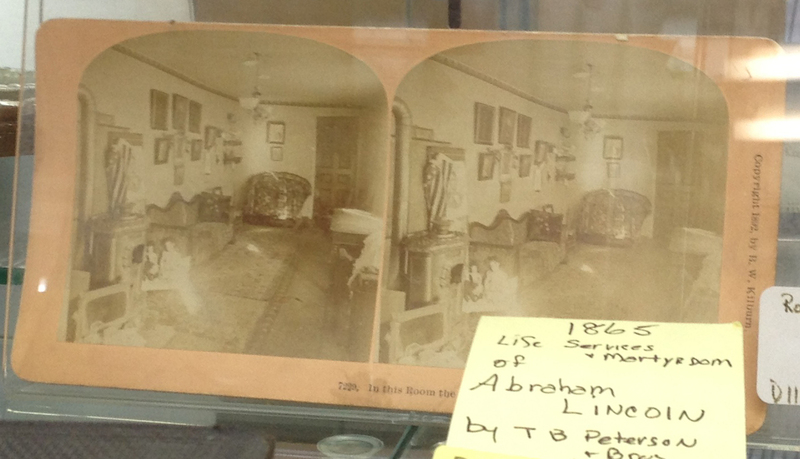 The second shelf has the Lincoln items.